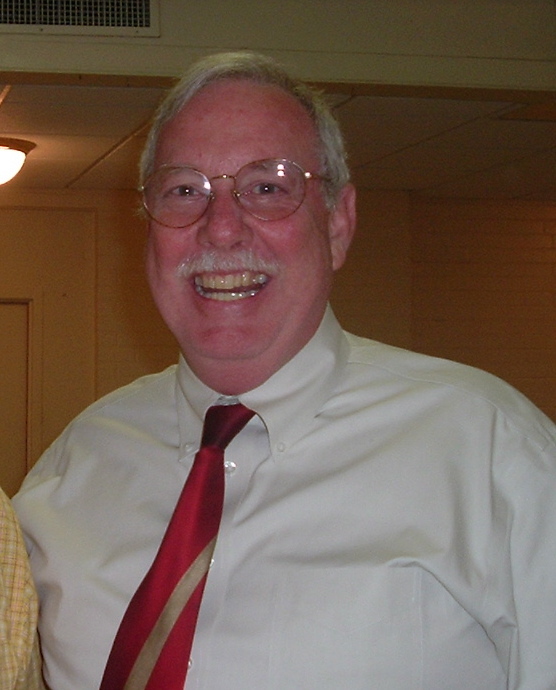 Fairfax, VA, May 13—Jim Oakes, Senior Warden of Truro Church (2005-2007), announced today to the Truro family that the Vestry has unanimously called the Rev. Tory Baucum as the new rector of Truro. This follows a unanimous recommendation of Baucum by the Search Committee. “After a two-year intensive search that spanned the Anglican Communion worldwide we are grateful to God for the amazing way in which the Truro Vestry was so unified in its decision to call Tory to Truro,” said Oakes. Baucum is currently Associate Professor of Preaching and Church Renewal at Asbury Theological Seminary, Wilmore, KY. He has a PhD in Intercultural Theology with expertise in the catechumenate, Christian revitalization movements and the history of preaching. Baucum received his MA (1986) and M.Div (1988) from Trinity Episcopal School for Ministry, Ambridge, PA, and his doctorate from Asbury in 2005. Prior to teaching at Asbury, Baucum was the rector of All Saints Church, Kansas City, MO, and has served on the clergy staffs of St. Andrew’s Episcopal Church, Kansas City and Trinity Episcopal Cathedral in Little Rock, AR. In addition to his position at Asbury, Baucum also serves as the Alpha International Associate Missioner, London, England. Baucum, 47, was born in Pratt, KS. He is married to Elizabeth Tyndall Baucum, Esq., and they have three daughters, Isabelle Rose, 11; Amelia Tyne, 9; and Bridget Flanagan, 7. When we returned to the Upper Room, it was clear that God had unified us in the most amazing way. We shared with one another what we learned in our prayer time in the church and then we voted. The result was a unanimous decision to call Tory. 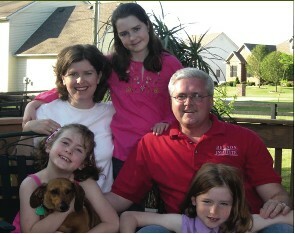 Tory is a man who deeply loves his family, his wife Elizabeth and their three daughters, Isabelle, Amelia, and Bridget. Tory is a pastoral leader profoundly centered on Jesus Christ. He has a passion for evangelism and is dedicated to teaching biblical orthodoxy while encouraging the transforming power of corporate worship centered on God, Father, Son, and Holy Spirit. Tory and his family will arrive in August. We ask for your prayers for Tory and Elizabeth and their family as they prepare to move here from Asbury. May the Lord be glorified as we give thanks to Him for leading us through this extraordinary journey. Thanks be to God! This is an easy and joyous letter to write. Over the past several months of conversations I have grown to feel a deep pastoral concern and affection for Truro Church. Like Paul, I found myself desiring “to share with you some spiritual gift to strengthen you—or rather so that we may be mutually encouraged by each other’s faith, both yours and mine” (Romans 1:11–12). I am honored and thrilled that you have called me to be the spiritual leader of your parish family so this desire may be fulfilled. So it is with great joy that we accept your unanimous call to be the Rector of Truro Church. We sense God’s call in your call; indeed, Elizabeth and I both believe that God has been preparing us for Truro as well as preparing Truro for us. Truro is a wonderful parish with an equally wonderful heritage. We are eager to build on that heritage for the kingdom of God. We believe that at this particular time in the life of the Anglican Communion, Truro holds great promise to bind up the wounds of the church and its tradition rather than exacerbate them; a vocation which lies very much at our core. I can’t wait to work and walk with you. See you in August! This entry was posted in Anglican News, CANA, Episcopal News. Bookmark the permalink. Um, I’m fairly certain that whomever wrote the press release didn’t mean to say “Little Rock ,AK”! Congrats, may Rev. Tory Baucum be found faithful to God’s Word; May he be a pastor to the congregation; May he be found to be faithful as a shepherd bringing discipline and order where Truro has wondered from Lord Jesus. And may he not steal the silverware when the courts find Truro belongs to the Diocese of Virginia. HOT CHA! He’s already left the TEC. He’s resident in London without Letters Dimissory from his previous bishop, if memory serves. Um…so…he floated to the DioLon w/o LDs. Somehow +Chartres and +Millar accepted him. Now he’s moving to the Anglican Church of Nigeria.Sorry, there’s something very disorderly about this. Anglican priests are not free agents to go where they feel like it.I’m guessing, though, that the <>Anglican<> vestry of the <>Anglican<> congregation in Truro has worked all the details out, and I offer my prayers. I’m moving from Maryland to Fairfax County in a couple of months, and I’m thinking I should check Truro out. I especially want to meet the dachsie!! C’mon, BB: “I thought we were all one big family – Anglican Communion and all that.” There are still protocols that should be followed. Gotcha. I was just curious. Allright To the person called anonymous SHUT YOU’R MOUTH AND CHILL,I’ll see you at Turo. Is this the same Tory Baucum who graduated from Bible College at Criswell Center for Biblical Studies in Dallas Texas?